Maryland Energy Administration, Resilience through Reliability Task Force, March 2014. 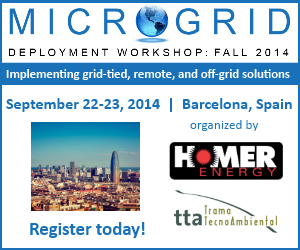 Energy Bar Association, Microgrids Webinar, Sept. 25, 2013. American Bar Association - American Council on Renewable Energy, Microgrids Webinar, July 17, 2013. Microgrid Institute tracks and publicizes conferences, workshops, trade shows, webinars, and other events, along with news and information related to microgrids, DG, and distributed energy resources. Follow us on your favorite social media channel for ongoing updates!